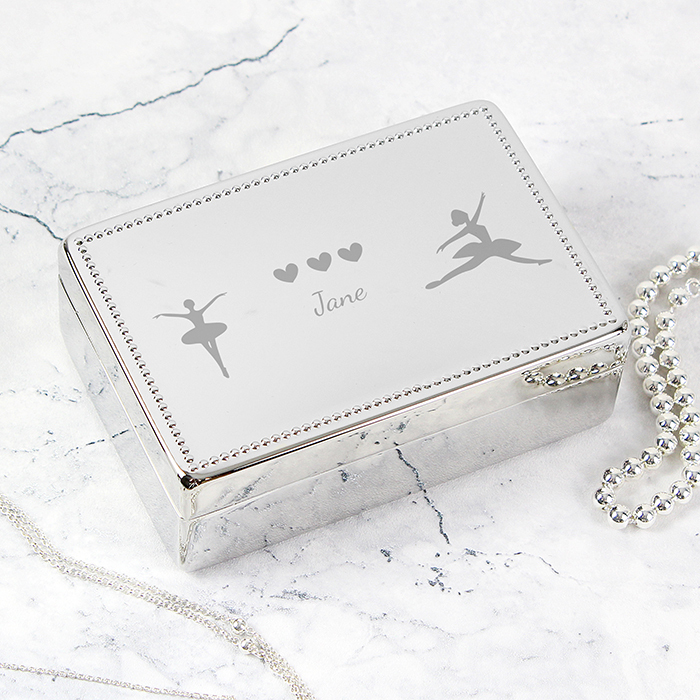 This Personalised Ballerina Rectangular Jewellery Box is so pretty, and is perfect to store her little trinkets. 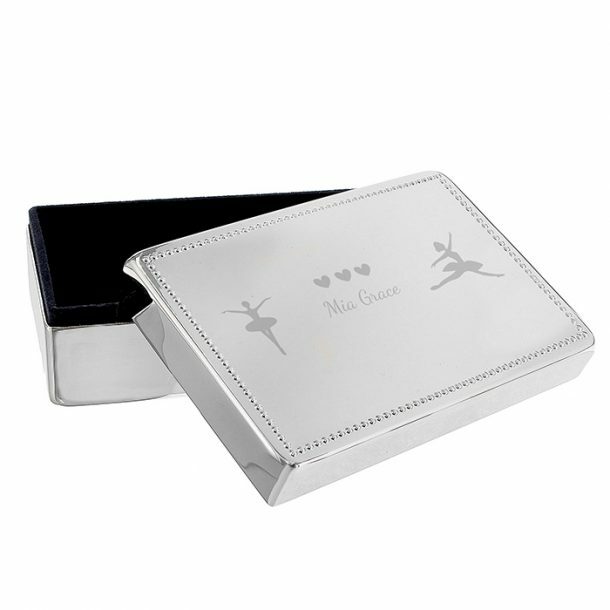 The nickel plated box is beautifully designed, with a studded edge finish, and is lined in a black flock fabric. 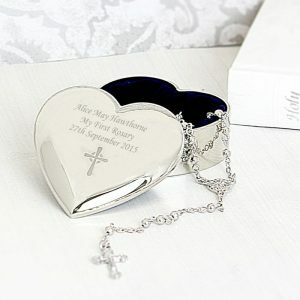 The lid of the jewellery box boasts beautiful pirouetting ballerinas, and any 12 character name can be added to sit below a sweet love hearts motif. 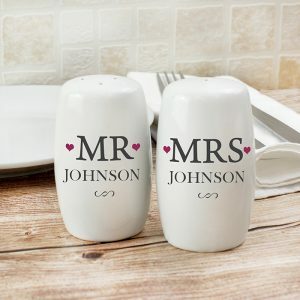 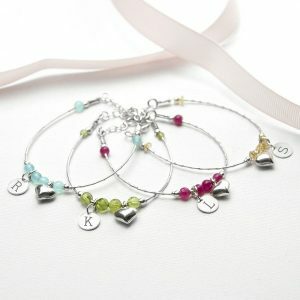 Due to the font type used to create the chosen name please refrain from using all capital letters thank you. 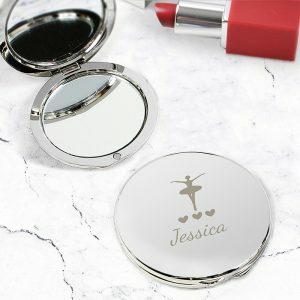 A thoughtful and unique Birthday gift for any girl who longs to be a ballerina, and will look delightful displayed in her bedroom on her dressing table. 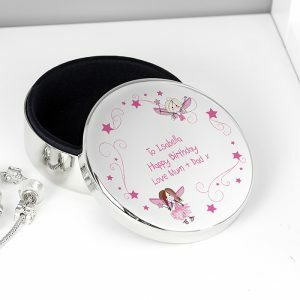 My niece loved this for her birthday, the personalisation was neatly done and the box is very well made.